Just about done with Abbadon's Gate (Book 3 of the Expanse series) by the two guys who are James S. A. Corey. I just saw the Twilight Zone episode where the co-author's name is from. It makes perfect sense given the topics of that series. I finished Leviathan Wakes not long ago... sadly our libraries have no paper copies of Abbadon's Gate. Carrie - Does your local library allow you to borrow ebooks? It does, but I don't read e-books. My husband does, but I don't. Not only do I prefer paper books (which I love), I stare at computer screens all day long. My eyes couldn't handle looking at an e-reader screen too. And before people say "e-readers are different than computer screens" they aren't for me. I have had glasses for a very long time. My eyesight is terrible - and getting worse every year thanks to my work in the tech industry. So no, I won't be reading e-books. I just finished reading What Is Your Quest? : From Adventure Games to Interactive Books by Anastasia Salter. This book is a love letter to my favorite genres of video games: adventure video games and interactive fiction (IF) games; all games which are story-rich and involve making choices. As someone who is immersed in the genre I didn't expect to learn anything new, and yet I did. While I did know about several of the communities where modern IF games are made, getting a full list of all the adventure game communities and the resources they use was worth learning about. Will this book be interesting if you don't already love adventure games? Probably not - unless you are interested in the history of gaming and just focus on the chapters that give the rise, the fall, and the rebirth of the genre. But if you make adventure or IF games, as I do, then you can't but help get a nice a warm feeling knowing you are not alone, and that there are many other fans out there who are not only keeping the genre alive, but pushing it into new directions. Now I'm reading The Woman Who Smashed Codes: A True Story of Love, Spies, and the Unlikely Heroine who Outwitted America's Enemies by Jason Fagone. Which is about Elizabeth Smith, one of America's codebreakers in the early 1900s, who was all but forgotten by history, because that's how it goes... The book is great though, even if history did her no favors by forgetting her contributions. Hi, I forgot this thread existed so I'm glad it popped up because I recently read Too Like The Lightning and Seven Surrenders by Ada Palmer, part of a future sci fi utopia/dystopia series that is really smart and engaging and just utterly brilliant and I highly recommend them, even if you're not a huge sci-fi fan, because this is just good literature, period. It's a socially conscious, clever, and extremely intense story of power and facades and I really love it, so much. Don't feel bad. I started the thread and forgot that it existed until seeing it pop up just now! It had been on my reading list for a while and I honestly don't know why I didn't get to it sooner, as I'm quite enjoying this clever little tale of alt realities. 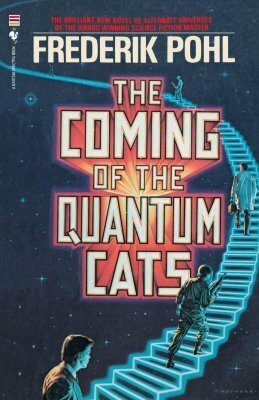 Has cats in the title... now added to my reading list. Currently reading my first novel in quite a while - The Death and Life of Schneider Wrack by Nate Crowley. The author is someone I just happened to follow on Twitter who writes some excellent story tweets and when I found out he'd written a book I had to check it out. It's very good too. Have you read The Aeronaut’s Windlass by Jim Butcher? One of the main characters is a cat and he is very well done! It's on my to-read list. Has anyone read any of these game related books (list below)? If so, what's your feedback for a fellow gamer who enjoys reading postmortem articles and watching game documentaries about the history of video games or the making of games (usually they're only surface level and more on the promotional side - but I don't mind diving deeper)? I really enjoyed all of those and have a few more by her in my Kindle waiting for me to finish The Language of Flowers by Vanessa Diffenbaugh, which I'm currently reading. So far I've enjoyed that one a lot too. I also read More Ketchup Than Salsa and Even More Ketchup Than Salsa by Joe Cawley during the 6 months. I liked both, made me laugh. And A Beautiful Poison by Lydia Kang, which I liked a lot. And couple of Demon Cycle books which I thoroughly enjoyed. I read a few books that were barely okay, or something I nearly dropped in the middle, but I cannot remember the names of those books anymore. I also read a lot of Swami Rama's books, they are always a great read. Though I tend to read books on game design though, not so much on the history of games - with exceptions for the history of genres I enjoy. Yes, I love Howl's Moving Castle and read it when I'm feeling down - I really relate to the Sophie, though luckily my husband is not nearly as moody (or vain) as Howl! Glad you enjoyed them! I really like Diana Wynne Jones as an author, and feel we would have had a lot in common if we met (we both had bizarre childhoods, to say the least). Holy moly! It's been almost a year since the last post in this thread. Time for some necroing. I've set myself a challenge on Goodreads to read 50 books this year. I'm counting graphic novels in there to to give myself a chance. Currently on 14 books so far (5 novels, 9 graphic novels). I see Noreen has already read 62. Novels. All of these are my first from the authors and I've been looking for ones outside of my normal sphere of reading. The City of Brass (S.A Chakraborty) - A young girl finds out she's part-Djinn and is brought to their magical city and gets caught up in a lot of plots. City of Stairs (Robert Jackson Bennett) - A world where the gods have been killed after a war and an agent of the winning side is investigating a brutal murder. The Warslayer (Rosemary Edghill) - An actress is mistaken for the hero character she plays on TV by some confused wizards from another world. Rosewater (Tade Thompson) - Nigeria 2066. Rosewater is a city built around an alien biodome where people are healed, the dead can rise and some people can read minds. Powers Definitive Collection Volumes 2 and 3 (Michael Bendis) - Superb series following two detectives who investigate superhero crimes. Nemi Volume 3 (Lise Myhre) - The continuing adventures of a young jobless goth, looking for a lot of things but mainly alcohol. Volume 4 seems to be unobtainable. Tharg's Future Shocks - a collection of 2000AD short stories. Mostly pretty dark. The Rabbit (Rachael Smith) - 2 girls run away from home but pick up an unexpected companion. Lumberjanes Volume 1 (Noelle Stevenson) - Girl scouts getting into magical trouble at camp. Phew. That was a lot of short descriptions. I see Noreen has already ready 62. I need to get back into tracking my reading with Goodreads. I slacked off last year. I really enjoyed Rosewater, by the way! Hey why not! I'll pump some stuff in here. Panopticon, Jenni Fagan - The distressing story of a child who struggles through several foster homes and families and ends up in a sort of juvenile detention center, and then follows her through there. It's rough and violent and uncomfortable, but also poetic and lyrical in many ways. If you can think of a content warning, this book gets it. Kindred, Octavia Butler - This is interesting for its history but it is a really uncomfortable read and not just because of the subject matter. The story is very flat, matter of fact and plot driven, with almost no thrilling turns of phrases or poetic imagery or anything. It's pretty much thing happens, followed by another thing that happens. It makes the characters in some ways hard to care about, which, as my little discussion group thought, may have been part of the point, as the events, which take place in slavery-era america, are quite horrific. A suggestion was that the writing style may have been written to be similar to slave journals of the era, that basically were there to log that these people existed, and so is intentional. It doesn't make it easier to read, but it does provide some intellectual curiosity. Currently reading: Ghost Written, David Mitchell - It seems like his style is to make a book that takes place in multiple places with multiple people from multiple backgrounds all connected by tiny threads. Then again, if you find your wheelhouse, keep with it, I suppose. It's not bad, but it definitely feels a bit rougher around the edges than Cloud Atlas, the one most people probably are familiar with. It's not as fantastical, nor does it span multiple eras (at least so far? but probably won't) but it is in that same vein of story. I'm digging it so far, and I definitely appreciate the character who is all about the jazz. Upcoming: The Quiche of Death, M. C. Beaton - Our tiny book club needs some lighter fare after Kindred, so we're going to be taking a look at this light mystery series, based around baking. I'm curious to see how it goes - hoping closer to Agatha Christie than Janet Evanovich but we shall see. I've been treating Goodreads like the VGG challenge. It gives me some focus and keeps me on track. Rosewater was very good indeed. Tempted to get the sequel to it now even though I prefer to spread out series between other books. Though I hear it's got quite a different pace from the first book. Sounds like something Netflix could turn into a great TV show. Finished up Proof: The Science of Booze by Adam Rodgers. Outstanding book, if you're into booze. Author likes to jump around a bit within chapters which I liked but would annoy some. Starts with topic, jumps to history, jumps somewhere else, jumps to other history, comes back to topic and ties it all together. I loved the story telling approach. Would turn others off because of it's lack of linearity I suspect. Solid read. Fascinating. I know a lot about booze. From, um, research. I learned a lot of history reading this. Highly recommended. Recently re-read Peter Blaylock's The Paper Grail my personal favorite of the similarly themed but otherwise unrelated 'Christian Trilogy'. This one is about Howard, a staff member from a very minor museum in Southern California returning to his childhood home town in Northern California to secure a Japanese Wood Cut that a man he barely knew is donating to his museum. As expected, he is soon caught up in a much stranger conflict and destiny than he ever expected. I think I love the supporting cast in this one, and the sense of community that Blaylock communicates. Absolutely literary comfort food for me. I just finished A Warrior's Path by Davis Ashura. Other than the first couple of chapters being a world building data dump, this was an outstanding fantasy novel. The characters, both primary and secondary, are driven by realistic emotions and for the most part are not one-sided. It is obviously the start of a larger work, so don't start it if you want a stand-alone novel. I have started the second book, A Warrior's Knowledge. The story is starting to build. I like it, but maybe not quite as much as the first. Starting The Outsider by Stephen King today. I was flicking through Avengers vs X-Men in a shop and I ended up ordering it. With stops in Anaheim, Azusa, and Cucamonga! I just finished reading The Art of Spelling by Marilyn Vos Savant. It was a really interesting history of English spelling and it also provided many tips and tools to help writers improve their spelling. It's been on my to-read list for years, and I'm happy to have finally had the chance to finish it. I'm also a good way through Physics and Philosophy by Werner Heisenberg. I'm really enjoying it so far and I feel more cofident about the basis of the Copenhagen interpretation after reading Heisenberg's explanations than I have after any of my grad quantum courses. Edit: There is a definite reason why I would be trying to read a book called The Art of Spelling. I just started the sequel to Rosewater - Rosewater Insurrection.